Does Requesting a Loan Modification Affect Your FICO? 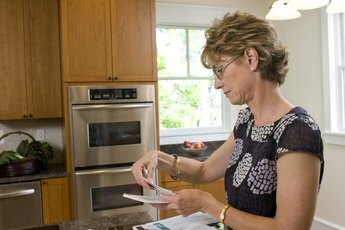 You're struggling to keep up your mortgage payments and you wonder if one of those loan modification programs would help by reducing your monthly bill. Yet you don't want to damage your credit score, which would hurt your ability to trade cars or buy other things on credit. 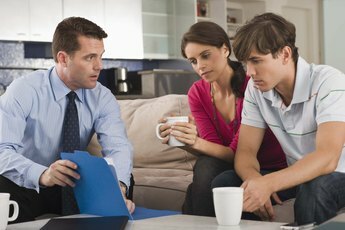 You need to check out the implications of asking for a loan modification before you actually go through the process. Understanding the potential effects will help you make a good long-term decision. Check your current credit score through MyFico.com. If it's above 720, you are in good standing. If it's below 700, almost any change will hurt you. See if you have been charged for any late payments on your mortgage or other bills; late payments affect your rating the most, lowering your score substantially. You can use a free online service from the government and MyFico, MortgageReliefOnline.com, to check your eligibility for a mortgage modification plan. Ask your lender how a loan modification will be reported to the credit bureaus. If it is reported as the same loan but with some changes, three items can affect your score: the credit inquiry itself, any change in the loan balance and alterations in the term of the loan. That should have minimal effect on your score. If your modification is reported as a new loan, it could have a greater impact. The inquiry, new balance and terms will have about the same impact as reporting an existing loan, but it will show as a new credit obligation. This can have more effect on your credit score as it could raise your total debt ratio. A modification that produces a reduced principal on your original loan may have greater impact. The lender may report the old loan as "settled" or "charged off." That will damage your credit score and it will take stay on your credit report for seven years. On the other hand, a settled or charged-off debt will have less impact than a foreclosure, so a modification still might be wise. 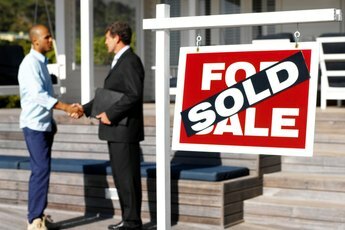 Try to get your lender to report the modification as a new loan rather than indicating you "settled." You also can do a trial modification, in which you get a reduced payment for three months. If that works, it is made permanent. This sometimes can be reported as a late or missed payment, however, which will damage your score. If you opt for a trial, make sure your lender follows government guidelines and reports payments as "current" during the trial period. Refinancing rather than modifying your mortgage will affect your credit score less. In fact, a straight refinancing, even if you extend the term to reduce monthly payments, will have minimal adverse effect on your credit score unless you increase the total owed. Refinancing, however, will not reduce your loan principal. Mortgage Loan.com: Will A Loan Modification Affect Your Credit? My FICO.com: Can You Avoid fForeclosure with Government Assistance? Bob Haring has been a news writer and editor for more than 50 years, mostly with the Associated Press and then as executive editor of the Tulsa, Okla. "World." Since retiring he has written freelance stories and a weekly computer security column. Haring holds a Bachelor of Journalism from the University of Missouri. How Does Loan Reassignment Affect Your Credit? Is Mortgage a Part of a FICO Score? Does Accessing a Credit Report Increase Your Credit Score? What Is Tier III Credit? Does It Reflect Negatively on Your Credit Report if You're Declined for a Credit Card Loan? What Are the Things That Will Reduce Your Credit Score? How Can I Remove One Late Mortgage Payment From My Records? Does a FICO Go Up or Down After Mortgage Reports? How Much Does a Home Loan Hurt Your Credit Score? What Is Tier 2 Credit Approval? 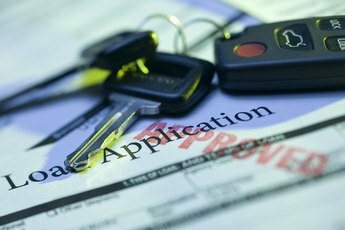 How Does a Late Payment Affect Car Financing? How Much Do Unpaid Bills Affect Credit Scores? What Happens if a Loan Remodification Doesn't Go Through?